Well I had quite the surprise yesterday when I walked into my favorite children's bookstore, Curious George, in Harvard Square. 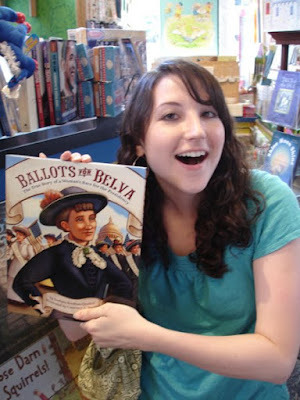 I was out and about with Adam and my good friends Rachael and Mark, with the intention of introducing Rachael to the amazing selection of awesome books they carry (she being a 4th grade teacher is always looking for good books to use in the classroom). 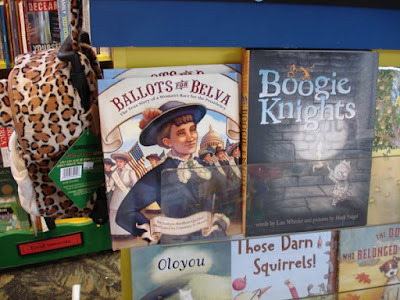 As soon as I stepped into the store my eyes darted to their new arrivals section-- and low and behold --- Ballots for Belva was there on the shelf staring back at me! I must admit my heart fluttered with excitement, and all I could do was point and stare and muddle something to Adam to get his attention. 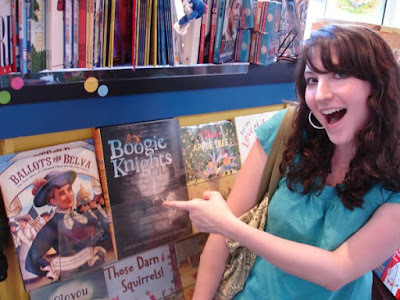 They were all pretty psyched to see it there, and Rachael grabbed one of the two copies for herself faster than a frog eating a fly! Adam got a few shots of the display for me so that I could show my family. I have a feeling that as I begin to see the book around in various stores I may have to indulge my disbelief by photographically documenting each occurrence, at least until the surrealism wears off. Because right now it is a very, very strange feeling. A mix of accomplishment and complete embarrassment and vulnerability-- I did after all have only two months to work from start to finish, so my mind will always wonder what I could have done with more time. But it is what it is, and it seems to be making the people around me feel good, and that is a great feeling. 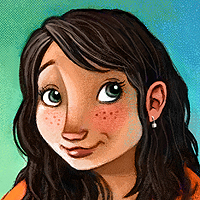 Upon checking out at the register, Rachael apparently told the store manager that her friend who was currently somewhere in the store had illustrated the book, so I found myself being summoned to meet her. She was very excited and asked if I would come back to the store and sign a few copies when they had more in stock, to which of course I said yes. The funniest part was that I told her I was not expecting it to even be out until the end of the month, and that I hadn't even received my copies of the book yet! So overall, it could not have been a more ideal first sighting! My favorite bookstore in Harvard Square with my boyfriend and good friend! What a treat!!! That is totally awesome. There is nothing like seeing your own work in a full on store, or seeing it in the hands of people. Congrats, and definitely enjoy the moment!